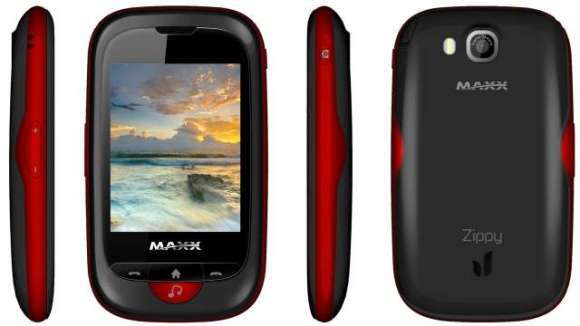 MAXX Mobiles has launched a new handset called the MAXX Zippy (MT105) which features dual-SIM capability and also boasts a touchscreen. The handset features a 2.4-inch TFT touchscreen, a digital camera with LED flash, a 1000 mAh battery, a torchlight, 3.5mm audio jack, wireless FM radio, support for MP3, AAC & WAV, MP4, 3GPP, AVI formats, comes with a 4GB memory card, Bluetooth and USB mass storage. The handset will be available in black, blue, red and orange colour options. The handset is priced at Rs. 2,599 available all over India.